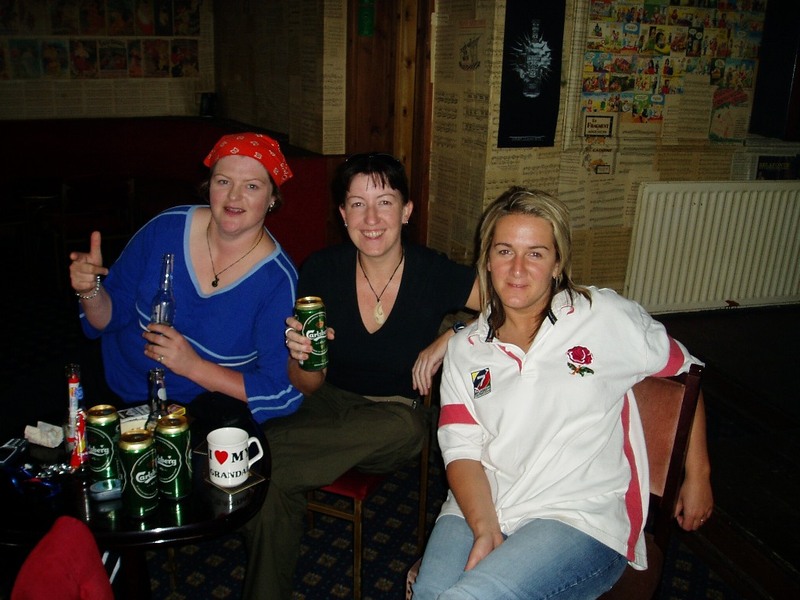 In 2002, in a pub in a small town in New Zealand, I proposed to my good friend Shaz that she join me on my OE to England. I never really expected her to say yes, and when she did, well, I just thought it was the Jim Beam talking! But when, two weeks later, I received a text from her saying that she had booked her tickets, I couldn’t have been more excited. And on a summery New Year’s Day in 2003 we boarded Singapore Airlines bound for the wintery streets of Saltburn-by-the-Sea, England. Shaz and I quickly become "allies" with the English publican, part of our master plan to be "locked in." The posts that follow over the next while are tales from 2003 and 2004 when I was living and working in England, and of course (like every Kiwi who has gone before me) exploring the European countries. However, now that I am wiser, older (unfortunately!) and much more sophisticated (ahem, cough), I find my observations and experiences to be a little naive, quite embarrassing and almost always amidst an alcoholic haze. That said, there were also some bloody funny moments that I just have to share! If there’s one thing to change a person’s outlook on life and make them grow up fast, it’s travelling! So with some slight editions to one or two monumentally shameful stories (hindsight really is wonderful isn’t it?! ), here goes! Pubs closing at 11am unless you’re “in the know” and can get locked in after closing. Kiri and Shaz trying desperately to “get in the know”, but sadly often left outside in the brisk night air. Not receiving a cheery “Hello, how’s your day going?” from the check-out operators at the Supermarket, and being blanked when you try to initiate polite conversation. Having to pack your own groceries and waiting for the 70 year old lady with arthritis in front of you to painstakingly pack hers. Walkabout Pub in Middlesbrough, particularly Steve, the manager, with the dreamy brown eyes. Kiri’s drunken failed attempts at complimenting Steve on his dreamy brown eyes, while Shaz pisses herself (indiscreetly!) at a nearby leaner. Cars parking on both sides of the roads facing any direction they please. Leaping out of the way of cars swerving across the road towards you to park on the other side of the road. No reduced cream for Kiwi dip. Baked bean flavoured crisps (not chips!). Being hit on because of your, quote: “exotic accent.” What, this old thung? Being called an Antipodean who has come all the way from the Antipodes and having no idea where or what that is. Buses lurching forwards before you’ve had the chance to sit down. Landing face first in people’s crutches on buses. Getting the giggles on the Underground because you don’t know where to look, heaven forbid you should strike up a conversation with someone! Leather skinned old women exiting the numerous Sun Tan shops that line the high street. Women wearing high heels and cargo pants. How are they going to scale a two metre wooden wall in those if the occasion calls for it? Kiri and Shaz staring at fishnet stockings in Debenhams for thirty minutes before shaking heads and leaving the department store empty handed. A bird that sounds like an owl waking us up at 6.30am every morning. Spending Saturday and Sunday mornings at 6.30am in pyjamas looking like Medusa on crack, hunting down an owl-sounding bird. Squirrels scampering around the back lawn and up trees. Kiri and Shaz chasing squirrels around the back lawn to see if they bite or not. Oh I wrote a comment here last night but it doesn’t look like it worked!